13 Above: Unusual Christmas Gift Ideas For Bizarre Readers ! Unusual Christmas Gift Ideas For Bizarre Readers ! Pay day's coming up, so here's some amazing crap to spaff all your cash on. Bravo! Because everyone needs more things. Especially things that taste of bacon. Check out some of the unusual Christmas gifts which are specially contributed to the Bizarre Readers :) Hope you like it !! Victim Ring : Sterling silver finger candy from one of Kat Von D and Nikki Sixx’s favourite ranges. Designed to leave an imprint reading ‘VICTIM’ in anything you punch….like wax letter seals, or fondant cupcake icing. Obv. 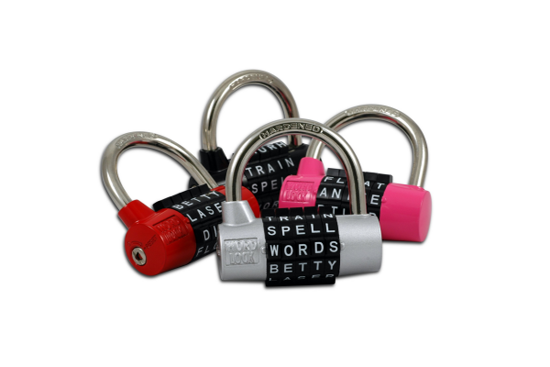 Word PadLock : A combination padlock that uses letter codes instead of hard-to-remember numbers. Great for holiday luggage, securing your clothes after you’ve changed at a fetish club, or for performers keeping cases of expensive costumes backstage. Hint: ‘F**K’, ‘C**K’, and ‘T*TS’ are way too easy to guess. 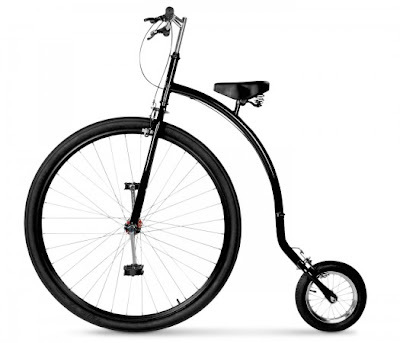 Modern Penny Farthing : For added retro fun, simply remove the saddle. 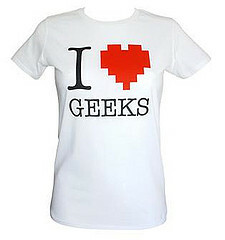 Nerdy T-Shirts : Le geek, c’est chic. QR Code Temporary Tattoos : Mark yourself as someone’s property or encode data onto your skin with these tatts. 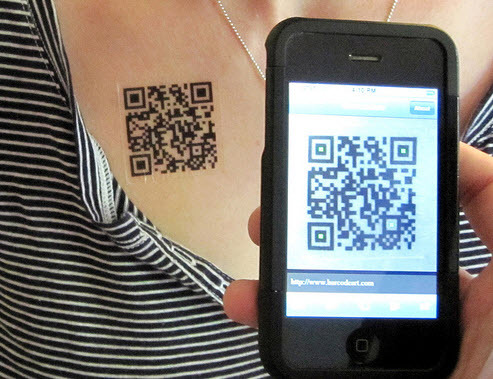 The QR encrypted designs can be scanned with a camera phone to reveal a customised website address, phone number, or short message. 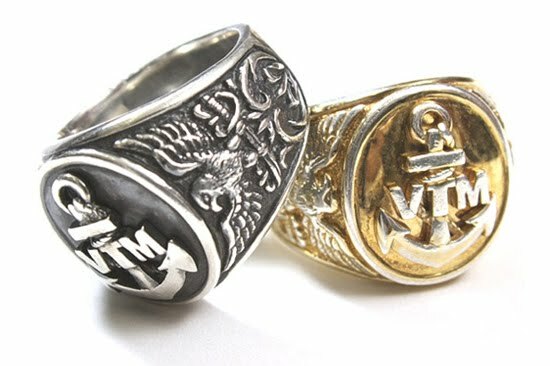 Coffin Wedding Ring Case : Getting divorced? Closing the lid on a dead marriage? 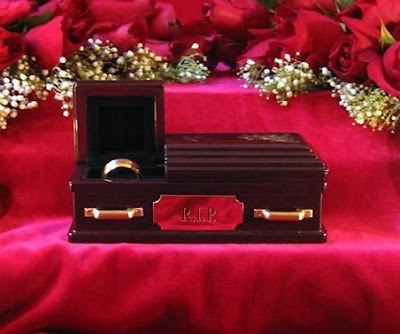 Bury your ring in this titchy casket. Shame they don’t make bigger ones for your ex-spouse’s decapitated head. 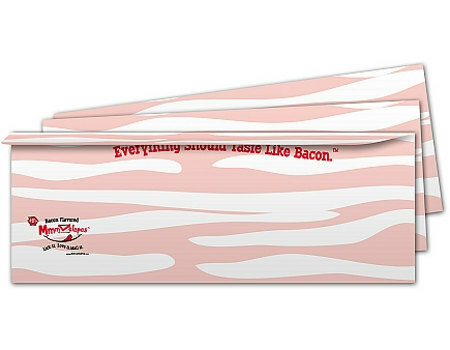 Bacon Envelop : Send letters sealed with a meaty kiss – the lickable adhesive on these envelopes tastes just like a crispy rasher of piggy-wig. Note : Leave us some of your Ideas too via comments we will try to include it in this article to make it a completely crappy gifts . "Unusual Christmas Gift Ideas For Bizarre Readers ! Because everyone needs more things. Especially things that taste of bacon. 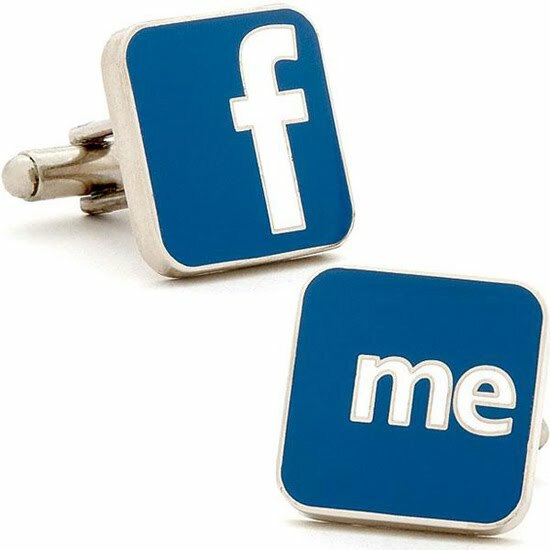 Check out some of the unusual Christmas gifts which are specially contributed to the Bizarre Readers :) Hope you like it !!" Your article is great. here is good information about unique unusual gifts. I'ts very useful. You have very nice blog.